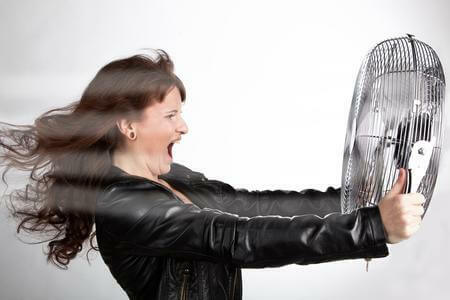 Eliminate menopausal symptoms like hot flashes and vaginal dryness.This is the primary reason many women consider bioidentical hormone replacement therapy, unaware of the many other benefits. Reduce the risk of osteoporosisEstrogen is responsible for maintaining bone density and progesterone is responsible for building bone. If we have low levels of either of these hormones in menopause, bone density can suffer. If we replace and balance hormones using bioidentical hormone replacement therapy, bone density is protected. Increase skin elasticity.Maintaining a good amount of collagen in the skin, increasing water content of the skin and maintaining thickness and softness of the skin are some of estrogen’s many functions in the body. Without estrogen, skin elasticity decreases and we get wrinkles and sagging. Replacing hormones can slow the aging process. Improve memory and moodHave you noticed that in menopause you don’t feel as sharp? Or have you felt more down or anxious? This is likely because your hormones are out of whack. Balancing your hormones can help you to feel and think like you did before menopause. Improve sleep.Many women experience sleep disturbances during menopause. Whether this is because hot flashes are waking them up, an overactive bladder at night or just a lack of progesterone, balancing hormones with bioidenticals can help.Type your paragraph here. Why are bioidentical hormones better than synthetic? In 2002, the results of a large research trial (The Women’s health Initiative) were published and became very publicized in the media. The results reported an increase in breast cancer risk as well as cardiovascular disease in the women who were given hormone replacement therapy to help with their menopausal symptoms. This study, however, studied the synthetic forms of hormones derived from pregnant horse urine. Bioidentical hormones, are very different from synthetic versions of hormones. Bioidentical hormones, derived from yams, are the exact same hormone molecule that your body naturally produces. The chemical structure is identical, which is not the case for the synthetic versions. Hormones are essentially messengers in the body and synthetic hormones, because they are a different chemical structure, give the body incomplete messages which can cause side effects including increased risk for cancer. Bioidentical hormones are a safer alternative and the research on bioidentical hormones does not show the same risks for side effects or increased risk for disease. In addition to the well known benefits of using hormone replacement therapy for relieving menopausal symptoms, using bioidentical or herbal hormone support has the potential to actually decrease the risk of breast cancer. In addition to the differences in chemical structure between synthetic and bioidentical hormones, in many cases, bioidentical hormones are given as a topical cream rather than an oral pill. This allows the hormones to be absorbed through the skin rather than through the gastrointestinal tract, and therefore they do not have to go through the liver, which avoids some of the negative effects on clotting pathways and ultimately your cardiovascular system. The current research indicates that topical application does not have the same risk factors for clotting disorders. Further, transdermal estrogen and progesterone have actually been found to decrease blood pressure and cholesterol, therefore reducing risk factors for cardiovascular disease. For more information on bioidentical hormone replacement therapy and to find out whether it is right for you, book a free 15 minute consultation with one of our Guelph Naturopaths Dr. Harmonie Eleveld, Dr. Kelsey Duncan or Dr. Alaina Gair at Natural Choice Medical Clinic in Guelph by calling 519-265-8035 or using our online schedule here. At Natural Choice Medical Clinic we offer a variety of services including naturopathic services, intravenous therapy, acupuncture, osteopathy, counselling, nutritional consulting and massage therapy in Guelph, ON. Dr. Harmonie Eleveld, your Guelph Naturopath and clinic owner at NCMC is passionate about building a team of excellent practitioners that can provide you with the assistance you need to achieve amazing health. © 2018 Natural Choice Medical Clinic. All Rights Reserved.